Have you been affected by the Google Penguin Penalty? 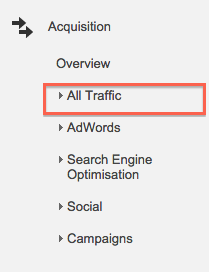 Have you noticed a drop in your traffic levels in Analytics recently? 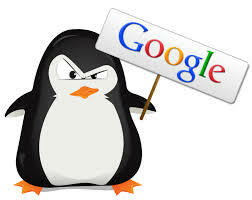 If you have there is every chance you have been hit by the notorious Google Penguin algorithm. In case you are unsure, Google Penguin is a part of the algorithm that is particularly interested in the quality and type of back links your website has. If the algorithm decides that you have too many very low quality (spammy) links pointing towards your site then it can penalise your website and adversely affect your search result rankings. If you are still unsure what Google Penguin is and what to gain a greater understanding, here is a great video from Matt Cutts who used to be head of web spam at Google. Start by logging into Google Analytics to see if there is any evidence of organic traffic dropping lately. Below is a step by step guide where to find your Organic traffic in Analytics. 1. 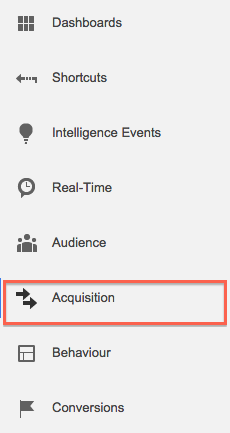 Start by opening the Acquisition tab on the left hand side. 3. Followed by the channels tab. Once you have done that the following screen should appear. From here click the organic button and this will show your organic traffic. A good way to be entirely sure what has affected your website is by using the Panguin Tool. This is a freely available tool that overlays Google Algorithm updates onto your Analytics timeline. Any algorithm impact becomes instantly identifiable. To sign in is simple and doesn’t use any of your sensitive data. So when it asks to have offline access you can click accept safe in the knowledge you data is secure. A client came to us in November saying they had seen a massive drop in their organic search and a subsequent drop in enquiries. Having run their website through the tool the evidence is clear to see. After the initial release of Penguin 3.0 on 17th October there was a clear drop in organic traffic. So the question is what can be done, and can this be recovered? Yes it can, but you may need help. We’ve outlined our process below. Carry out a full site audit for both on page and off page weaknesses. This includes a full check of all the backlinks pointing to the site using a variety of tools (ahrefs, moz and webmaster tools). We will then assess the quality of the backlinks and create and upload a disavow file if required to Webmaster Tools. The Disavow file tells Google that we no longer want to be associated with those links. Disavow can take approximately 12 weeks to be processed by Google. The audit will also highlight areas of the site where content is weak, Meta titles and descriptions are weak and or over optimised. This can all be improved while you’re waiting for the disavow to happen. We will create a list of suggestions to help improve site performance that will be viewed positively by Google and help improve its ranking of your site overall. These suggestions can vary from page processing speed and crawl efficiency to simply having cleaner code. Ever since Penguin came to the fore in April 2012 we have seen a number of sites impacted and have had several recovery success stories to date. Below shows a client suffer a 44% drop in traffic only to recover and jump above previous traffic levels. It is important to note that it does not require another Google update now (it used to!) before a penalty is withdrawn. If you think you’ve been hit by Penguin and don’t know what to do next, we’d be happy to talk it through with you and assist you in recovery. The cost of not taking action to recover doesn’t bear thinking about. No online business wants to be affected by Penguin any longer than it has to.